Yamaha Motor Europe and the GRT Yamaha Official WorldSSP Team are delighted to announce the extension of both Lucas Mahias’ and Federico Caricasulo’s contracts for the 2018 FIM Supersport World Championship. In his first full season with the team, Mahias (141 points) is currently locked in a two-way battle for the championship, trailing his main rival by just four points with three races to go after taking victory in Aragon and recording a further six podiums in nine races. Caricasulo has also impressed in his debut year with the team, winning in Thailand and notching up another rostrum in Misano and he currently sits sixth in the championship with 60 points. Yamaha Motor Europe are also happy to confirm that GRT will remain as the official Yamaha supported team in the 2018 FIM Supersport World Championship and that together they decided to exercise the option in both rider’s contracts for a one-year extension that will see them, once again, line up on the grid as teammates next season. 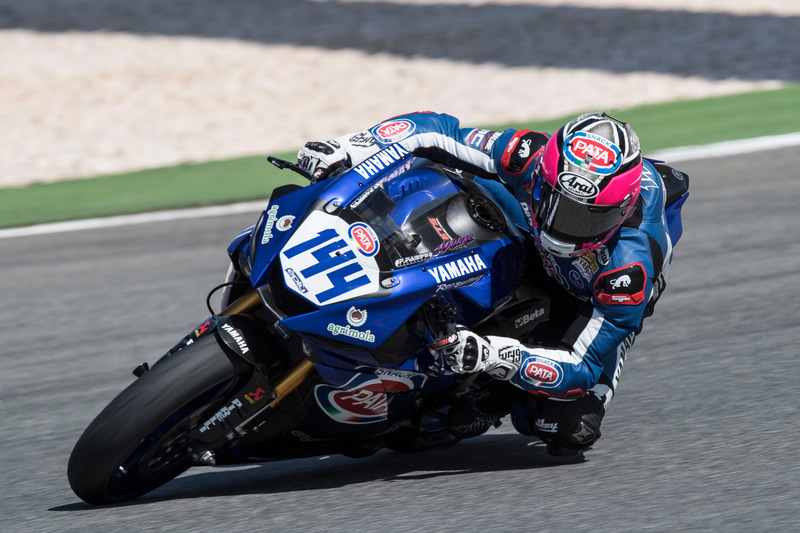 Mahias has had a sensational debut season in the WorldSSP championship after he made the switch from the GMT94 Yamaha Official EWC Team at the start of the year, following the opening round of the 2016/2017 FIM Endurance World Championship. The 28-year-old former French Supersport Champion (2014) got things off to a near-perfect start by finishing in second at the first round in Phillip Island, before taking his first WorldSSP victory in Aragon a couple of races later. The French rider’s consistency has so been so impressive in 2017 that, apart from two DNFs in Thailand and Misano, he has been ever-present on the podium. With three races to go in the season, Mahias is locked in an incredible championship battle that has seen him lead the way in the standings for the majority of the year. After the last round in Portugal, he currently trails championship leader Kenan Sofuoglu by just four points with two races remaining. Keen to continue his excellent relationship with the official Yamaha team and his R6, Mahias was delighted to have agreed to stay on for another season. Caricasulo joined Yamaha at the start of the 2017 WorldSSP season after having spent his debut year in the class with another manufacturer. The 21-year-old confirmed himself as one of the most talented young riders in the championship by taking a stunning victory in just his second race on the Yamaha R6 in Thailand. He has suffered from his fair share of bad luck with 5 DNFs so far in 2017, but a top-six finish in Assen was followed by a podium at Misano, and now the 21-year-old Italian is hoping to add consistency to his obvious pace in 2018 to make him a serious title contender. The 2014 Italian Supersport Champion is excited to be continuing his partnership with Yamaha and the GRT squad for another year, as he feels it is the perfect combination of machine and team to help him challenge for the title in 2018. Up next for the GRT Yamaha Official WorldSSP Team is round ten of the 2017 FIM Supersport World Championship at Magny-Cours on the 29th September-1st October.